Jessica Wenzel, UT Nutrition graduate and medical student at Dell Med, talks nutrition education. Nutrition is among the hottest current health topics. In addition to being a moderator of chronic disease and a social determinant of health, nutrition spurs curiosity among health professionals and patients alike. In my experience, many physicians value nutrition, but too often it goes unaddressed in lieu of factors thought to be more immediate concerns. Today, the top causes of mortality in the United States are preventable, chronic conditions. Yet, the vast majority of physicians report having little to no nutrition training in medical school or residency, and report low confidence in their ability to discuss nutrition with patients. 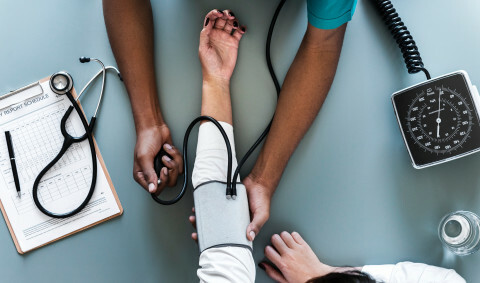 (1,2) Meanwhile, patients often consider their primary care physicians trustworthy sources for nutrition information.3 Fortunately, some medical schools such as Dell Medical School incorporate nutrition education when possible. 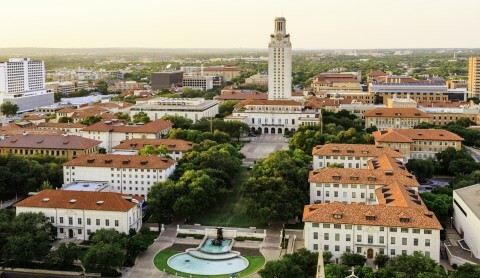 By partnering with the UT Austin Nutrition Department, first year medical students have the option of taking a nutrition course elective: Nutrition in the Clinic I: What Patients Want to Know - Basic Nutrition for Health. However, after surviving a jam-packed first two years of medical school, it is hard to imagine exactly where nutrition education and counseling could consistently and meaningfully fit into the curriculum for all medical students. Being able to talk to patients about their food choices has refined my skills in evaluating evidence and proceeding clinical recommendations and has allowed me to understand how diet orders given in a hospital impact a patient. Given the little focus on nutrition in medical school, I consider myself fortunate to have studied nutrition as an undergraduate. Being able to talk to patients about their food choices has refined my skills in evaluating evidence and proceeding clinical recommendations and has allowed me to understand how diet orders given in a hospital impact a patient. For example, as a nutrition student, I followed various special diets for course assignments, such as a diet designed to manage chronic kidney disease, recording my intake for three days. This diet was stricter than I imagined, even as an able bodied person with the means to buy the specific foods allowed on this diet. During this experience, I remember opting out of dinner with friends or having to make special requests; I remember how difficult it was, even knowing that it was only for a short time. Those experiences have truly colored my conversations with every patient. Ultimately my background and experiences as a nutrition student, has allowed me to gain insight into patients' questions and concerns when I deliver a life-altering diagnosis and has become a vital asset throughout my training to become a physician. Across various medical specialties, nutrition plays an integral role. Unexpectedly, I fell in love with surgery during medical school and plan to pursue it as my career path. While not traditionally obvious, nutrition impacts proper patient care before, during, and after surgery. For example, emerging research supports perioperative nutrition interventions to mediate the body's metabolic response to surgery improves surgical outcomes in patients.4 This becomes even more important in oncologic patients and others who are at high risk of frailty and malnourishment. As I consider the next steps in my training, I am excited to blend my nutrition background with the educational and clinical challenges still to come, with the hope of providing the highest quality of care that I possibly can. Ultimately, I believe that great care should not end with a diagnosis; it should include the doctors' understanding of how that diagnosis will change their patients' lives forever. Jessica Wenzel is a third-year medical student at the Dell Medical School. She earned a B.S. in Nutrition from UT Austin in 2013, followed by a dietetic internship through Morrison-Chartwells. She then worked at Meals on Wheels Central Texas for two years as a Nutrition Services Coordinator before returning to school. In her free time, she enjoys hiking, camping, hanging out with her dogs, and watching Texas football. 1. Vetter ML, Herring SJ, Sood M, Shah NR, Kalet AL. What do resident physicians know about nutrition? An evaluation of attitudes, self-perceived proficiency and knowledge. J Am Coll Nutr. 2008;27(2):287-298. http://www.ncbi.nlm.nih.gov/pubmed/18689561. Accessed October 24, 2018. 2. Devries S, Agatston A, Aggarwal M, et al. A Deficiency of Nutrition Education and Practice in Cardiology. Am J Med. 2017;130(11):1298-1305. doi:10.1016/j.amjmed.2017.04.043. Learn more about our 100% ONLINE Master of Science in Nutritional Sciences. This program offers two concentrations: Biochemical & Functional Nutrition or Health Promotion & Disease Prevention. Complete in 1 or 2 years! 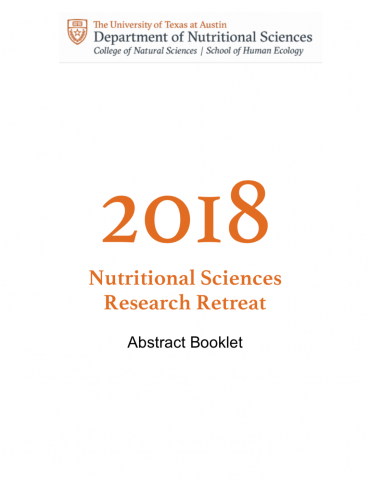 ​Every year the Department of Nutritional Sciences holds an Research Retreat to showcase the incredible, cutting-edge work being conducted by faculty, graduate students, and undergraduate students. Learn more now! If you need more convincing after the above first-hand account of the important of nutrition in healthcare, follow the link above to hear from Dr. Sara Sweitzer, the Director of the Online MSNS Program and Director of the Didactic Program in Dietetics.